Martha writes to Lena to let her know that she should be able to speak at the Women's Club meeting later, and asks if she is unable to come if there is someone in her place she could send. 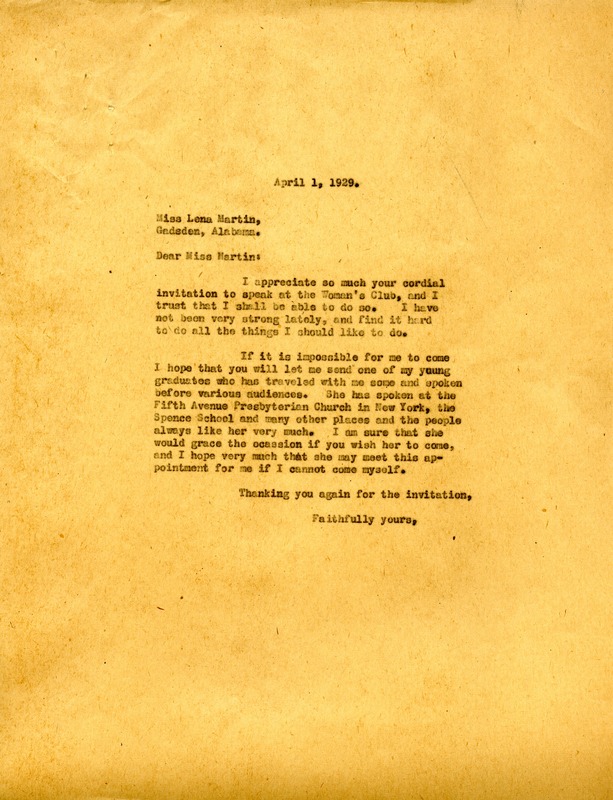 Miss Martha Berry, “Letter to Lena Martin from Martha Berry.” Martha Berry Digital Archive. Eds. Schlitz, Stephanie A., Aaron Jackson, et al. Mount Berry: Berry College, 2012. accessed April 18, 2019, https://mbda.berry.edu/items/show/10614.